On the back of the Brussels terror attack it is worthwhile remembering that while a majority of Muslims in the West appear to have no truck with terrorism or extremism, there are a significant number who sympathise with terrorism and repeatedly attempt to justify attacks on the West. An ICM poll from 2006 revealed that 20 per cent of British Muslims sympathised with the 7/7 bombers who brought terror to the streets of the British capital, killing 52 and injuring hundreds. This number rose to one in four British Muslims, according to NOP Research for Channel 4. With a British Muslim population of over 3 million today, that translates to roughly three quarters of a million terror-sympathising people in the UK. The number rises for younger British Muslims – a sure sign that radicalisation through schools, mosques, and prisons (often via Saudi-funded groups) is creating a long-term problem in Europe. Thirty-one per cent of younger British Muslims endorsed or excused the 7/7 bombings of 2005, with just 14 per cent of those over 45 doing so. And this number pales in comparison to global Muslim population figures. According to World Public Opinion (2009) at the University of Maryland, 61 per cent of Egyptians, 32 per cent of Indonesians, 41 per cent of Pakistanis, 38 per cent of Moroccans, 83 per cent of Palestinians, 62 per cent of Jordanians, and 42 per cent of Turks appear to endorse or sympathise with attacks on Americans or American groups. A 2013 study found that 16 per cent of young Muslims in Belgium believed that state terrorism is “acceptable,” while 12 per cent of young Muslims in Britain said that suicide attacks against civilians in Britain can be justified. Pew Research from 2007 found that 26 per cent of young Muslims in America believed suicide bombings are justified, with 35 per cent in Britain, 42 per cent in France, 22 per cent in Germany, and 29 per cent in Spain feeling the same way. While just 5 per cent of UK Muslims said they would not report a terror attack being planned, the number leaps to 18 per cent amongst young, British Muslims. The anti-police narrative fuelled by groups like Black Lives Matter are no doubt contributing to this idea that people should not work with the police, with the British Muslim Youth group recently urging a boycott of police. Forty per cent of British Muslims say they want Sharia law in the West, while 41 per cent oppose it. Despite the fact that “Islamophobia” did not rise after the Paris Attacks, there remains a grievance industry across the Western world which targets young Muslims especially, urging them to feel victimised by Western governments for taking a stance against Islamism – and scarcely a tough stance at that. No more was this evident than in the case of Tell MAMA, a government-backed Muslim grievance group which saw its state funding removed after it was found trying to artificially inflate statistics on hate crimes against Muslims in the UK. Earlier this year it was reported that one in five prisoners in the United Kingdom’s top security jails is now Muslim, a rise of 23 per cent from just five years ago. In total, a 20 per cent increase in the jail population in Britain has been outstripped by the rise in Muslim inmates — up 122 per cent over 13 years. The same disproportionate figures are borne out across the United States, where Pew data from 2011 revealed that Muslims made up 9 per cent of state and federal prisoners though at the time Muslims made up just 0.8 per cent of the U.S. population. “An average of 55 percent of Western European Muslims harbored antisemitic attitudes. Acceptance of antisemitic stereotypes by Muslims in these countries was substantially higher than among the national population in each country,” an Anti-Defamation League (ADL) report found in 2015. A Swedish government report from 2006 found that that 5 per cent of the total population held anti-Semitic views, with the number surging to 39 per cent amongst adult Muslims. Breitbart News reported in January about an ongoing exodus of French Jews, with some 8,000 headed for Israel in 2015 and many others migrating to the UK or the U.S, as a result of rising anti-Semitism. Despite hundreds of millions of pounds, dollars, and euros spent on integration projects, it appears to be a Sisyphean task – calling into question the rate at which immigration is occurring throughout the Western world and the tolerance with which our societies have operate thus far. The BBC found that 36 per cent of 16 to 24-year-old Muslims believe that if a Muslim converts to another religion they should be punished by death. Thirty five per cent of Muslims say they would prefer to send their children to an Islamic school, and 37 per cent of 16 to 24-year-olds say they want government-funded Islamic schools to send their kids to. 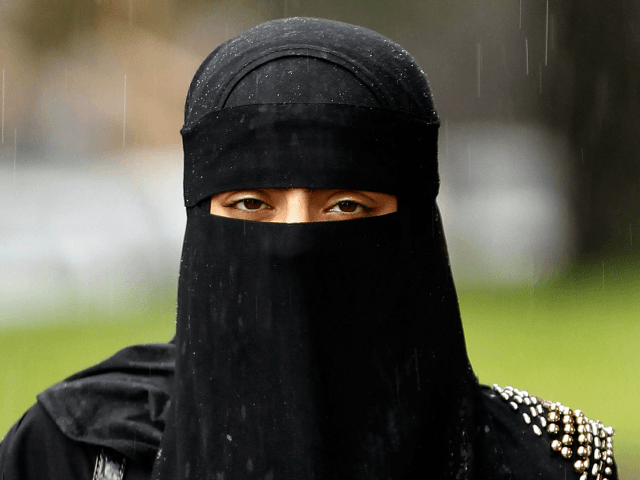 The report again highlights the radicalisation of the Muslim youth in the West, with 74 per cent of 16 to 24-year-olds preferring Muslim women to wear the veil, compared with only 28 per cent for those over the age of 55.